If you’ve been taking music lessons for a significant amount of time and finally feel confident in your music abilities, the next logical step is to get out there and show off your skills! For most musicians, this means booking gigs and playing live shows. But finding and securing music gigs can be tough, especially when you’re just starting out. Luckily, the teachers at Scottsdale Music Academy are all professional musicians who not only teach music but also play music for a living. Here are their top tips for booking music gigs. While it’s every musician’s dream to go on a nationwide major city tour, that’s not always realistic when first starting out. That’s why we encourage our music students to think locally. Instead of looking for gigs across the US, concentrate on local venues in Phoenix, Scottsdale or Paradise Valley where you could possibly play. And don’t just focus your efforts on concert venues or clubs…think coffee shops, restaurants, museums or private parties, anywhere you could gain some experience and add to your resume. 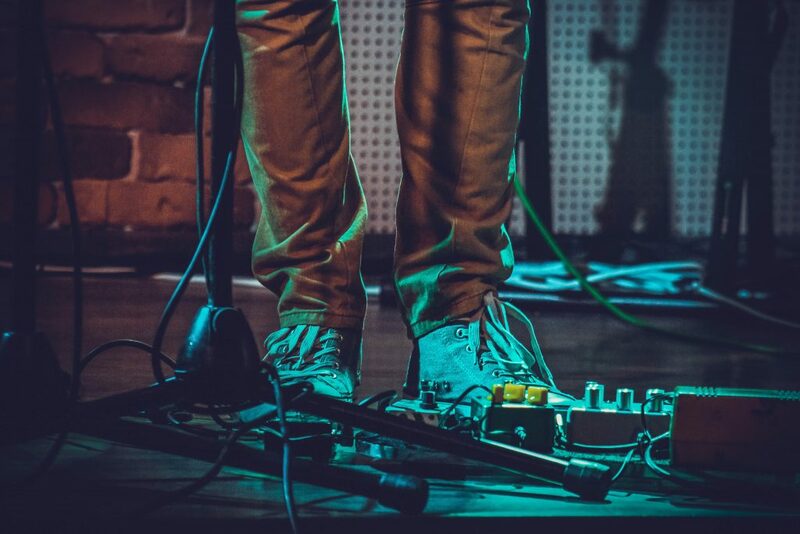 Along the same lines of “thinking locally,” it’s also a good idea to use your connections to find opportunities for music gigs. Chances are you know someone who knows someone who’s looking for a musician! Ask around and take advantage of your network. The more personal connections you can foster with promoters, booking agents or local venues, the better your chances will be at landing the gig. When you’re reaching out to possible local venues, it’s wise to come with a plan. By that, we mean be ready to show them what you can offer. If you’re contacting venues via email, simply send along a link to your website or Soundcloud profile or links to any videos you might have. But your best bet is to visit the venue in person and play a little something for the owner or promoter. As an extra incentive, bring along a few ideas on how you’d personally help promote the concert or event. This will demonstrate how serious and interested you are about playing there. Spare yourself future disappointment by doing your research and choosing your venues wisely. For instance, don’t waste your time contacting a venue that specializes in jazz music when your particular style of music is more rock or acoustic. Only reach out to venues where you know your style of music is wanted or make a habit of asking that question upfront. There are plenty of venues in Phoenix and Scottsdale that cater to a variety of music genres, including yours…you just have to look! Our last tip related to booking gigs is to always be professional. It should be a no brainer, but sending thank you emails, interacting with the crowd after a performance, and showing up on time all go a long way to help ensure a good reputation and guarantee you’re re-booked in the future. If you’re not quite ready to book your own gig or need some extra help preparing for it, consider signing up for band coaching. 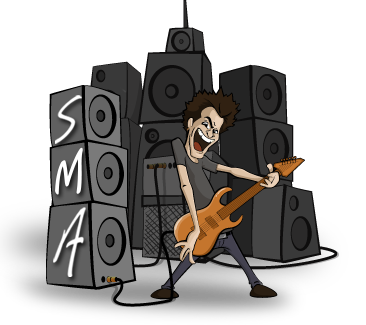 We’ll teach you everything you need to know to guarantee your first live performance goes off without a hitch. From stage presence to setup and audience engagement, you’ll learn it all! 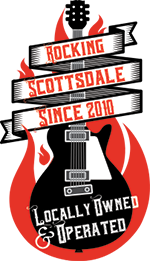 Contact Scottsdale Music Academy today to get started!